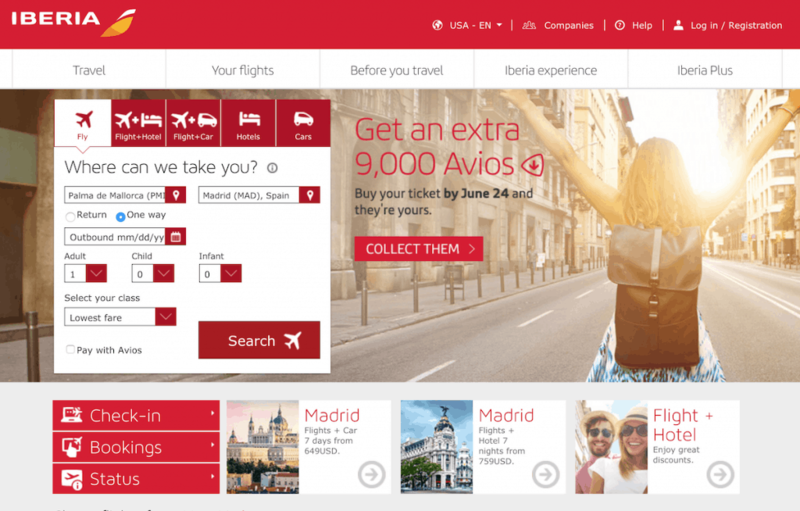 Last June, Iberia ran a fantastic deal. For every flight purchased, no matter the cost, you received 9,000 bonus Avios points. This included one way flights and the kicker was that you didn’t even have to fly the purchased flight. Through the promotion, you could get up to 90,000 bonus Avios by booking a maximum of 10 flights. I jumped on the promotion and booked a flight from Mallorca to Madrid for $18.03. I figured it was a worthwhile gamble to purchase Avios at 0.2 cents a piece. Iberia confirmed that they were honoring the deal even if the flights weren’t flown. But the Avios couldn’t be transferred out to British Airways and they had to be spent by December 1. Once I had confirmation, I decided to book nine more flights. At that point, the $18 flights were gone, but I was able to book nine flights from Santander to Madrid for $27.73 each. I booked the flights for dates after December 1 just in case Iberia decided to go back on the deal and say you had to fly the purchased tickets — I would have already redeemed the Avios before the scheduled flights. The total for the ten flights I booked came to $267.60. The 90,000 Avios posted to my account within two weeks. The average cost was under 0.3 cents per Avios. I used 85,000 Avios to book a round trip flight from LAX to Madrid. Unfortunately, there was an additional $256.75 in taxes/fees charged on the award booking. All in, I paid $524.35 for the round trip LAX-MAD flight in Business Class on Iberia. Read about my flight here.